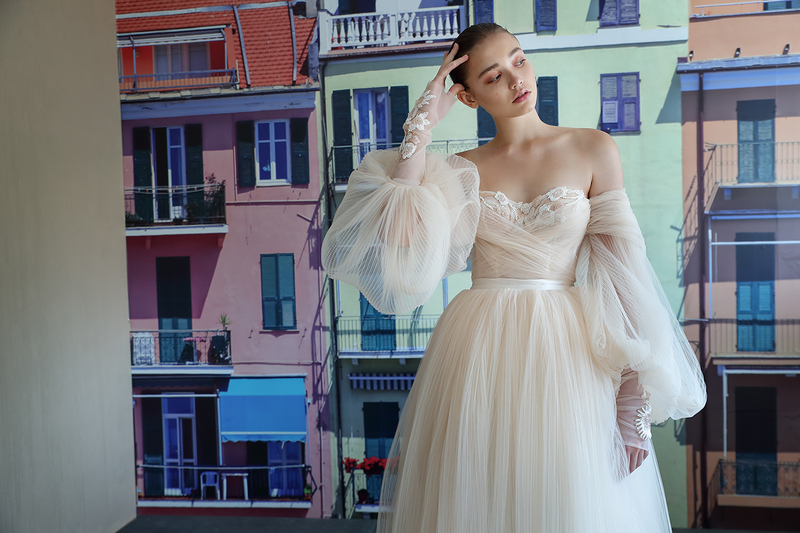 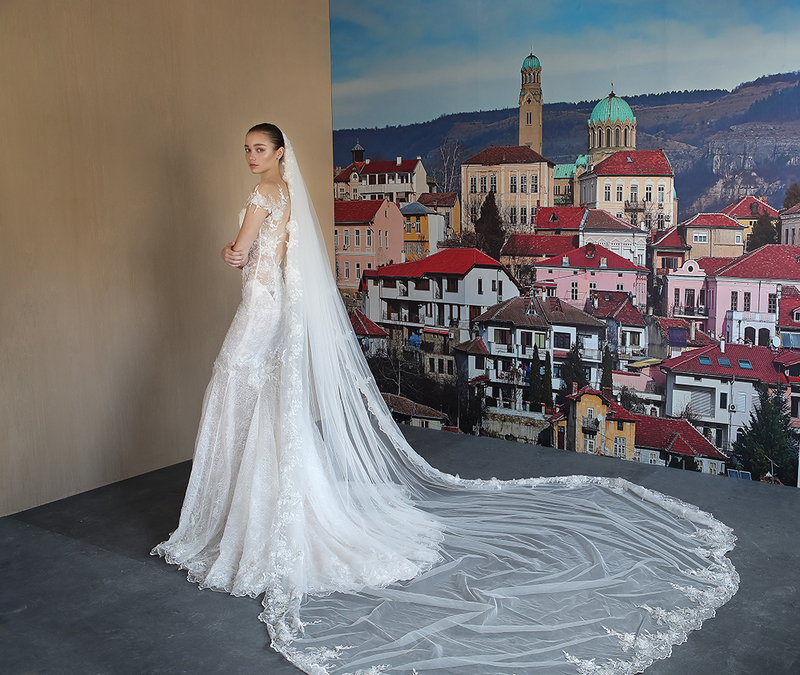 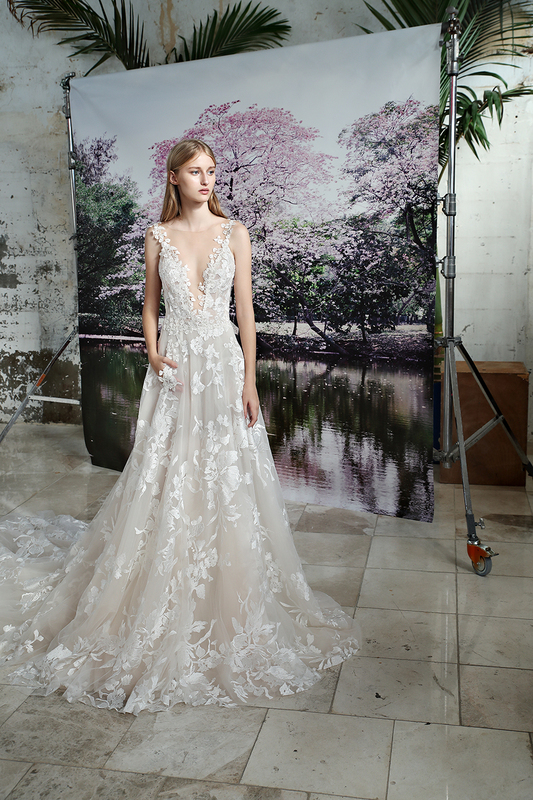 Next up on our 2018 NYBFW round up are two ultra dreamy fall collections by Galia Lahav. 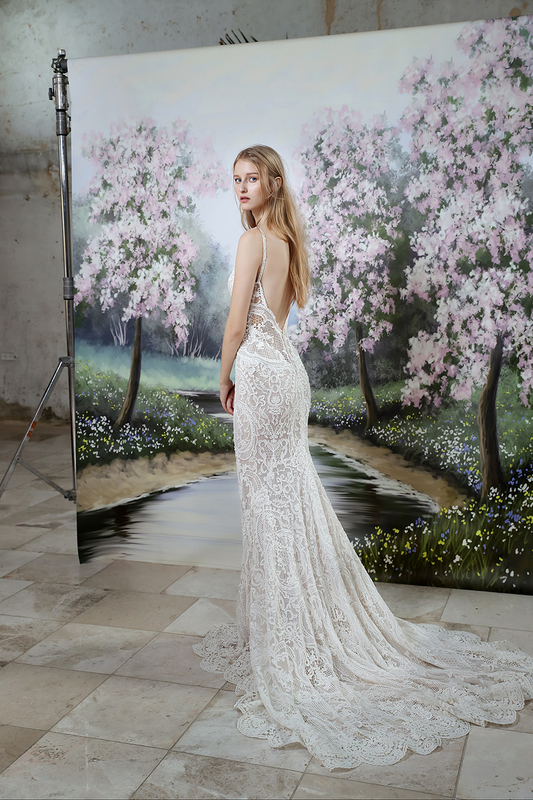 Lahav is known for designing luxurious dresses with intricate details and sensual silhouettes. 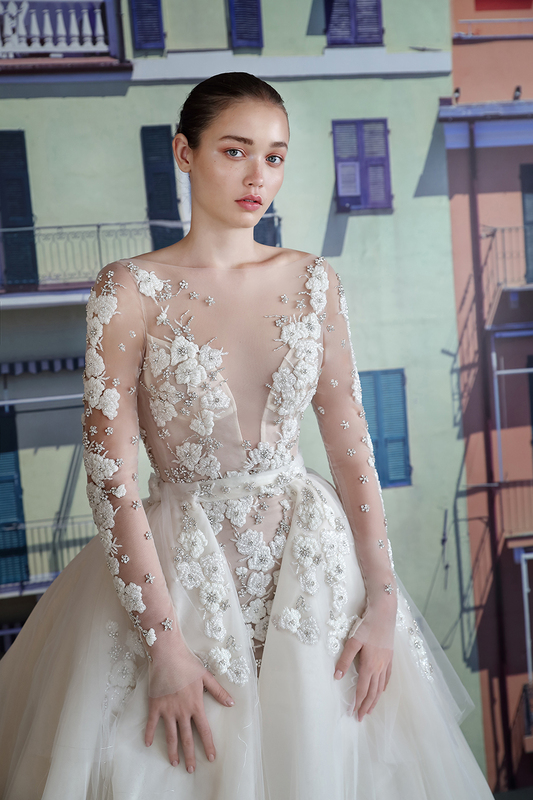 On top of that, there’s something so ethereal about Lahav’s designs. 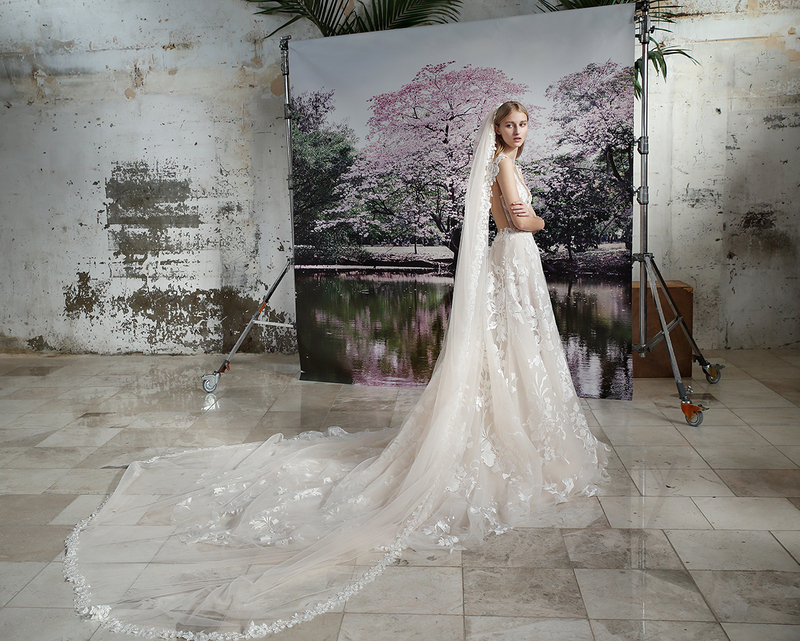 Beautifully otherworldly. 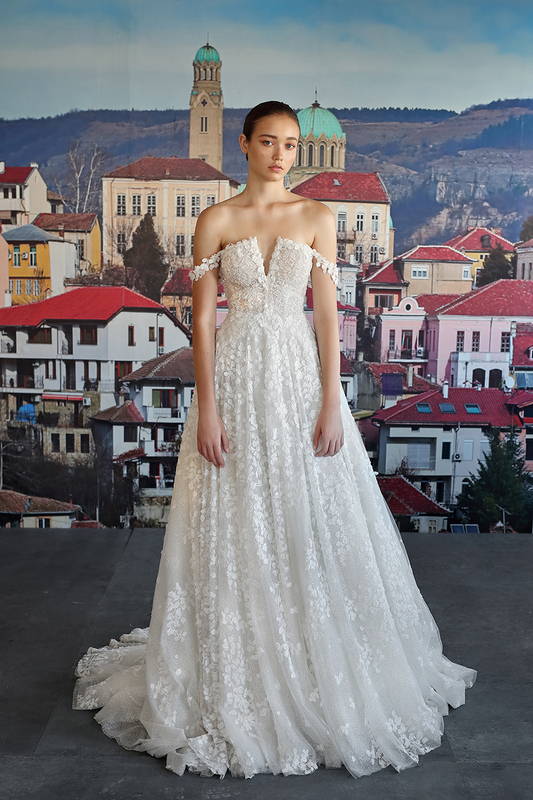 Drawing inspiration from the romantic Latin culture of Portugal, the Alegria Couture Collection is defined through a very regal and romantic nature, with exquisite details, figure-flattering silhouettes and an emphasis on comfort (YES!) 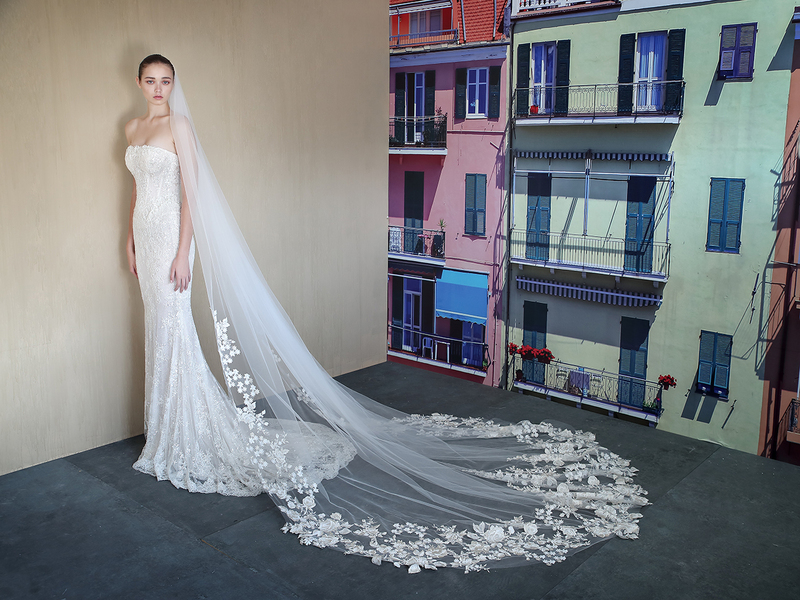 In fact, the gown below with the stunning, billowing sleeves was one of our absolute top looks from bridal market.